Devon is fondly known as England's answer to the French Riviera thanks to its glorious stretch of golden beaches, hidden coves and pretty fishing villages. The expanse of countryside meets the glittering ocean where hoards of fisherman eagerly catch the famous brown-shelled Devon crab for the busy restaurants on shore. At the very heart of all the action is Salcombe, a coastal town with a busy harbour. It's traditional in every sense - local traders, pastel-coloured cottages and panoramic views across the estuary. Devon has long been a favourite of mine with it's ever-changing seasons. Over the years I've celebrated major milestones from birthdays to New Years, eaten countless moules-frites at the Oyster Shack, run many a coastal path to combat the food indulgence and enjoyed a glass of rosé (workout reward, of course) at The Beachhouse while looking out to sea at South Milton Sands. It's one of those places where you go to recharge and escape the everyday chaos life throws at you by swapping your heels for wellies and leaving your three bars of phone signal somewhere along the A38. It's a well known fact that sea air does wonders at reducing stress levels. So let's take a big gulp of it. After a kind invitation from friends to spend the weekend with them in Devon, we packed our bags and made our way south to sunnier climes. Here's a quick snapshot of some of our favourite places to eat, drink and rest if you're thinking of doing the same this summer. The Ferry Inn - A no-frills boozer with plenty of outdoor seating overlooking the busy estuary. You can find it right next to the passenger ferry to East Portlemouth - very handy if you're keen to catch the last one home after a few pints! Fore St, Salcombe TQ8 8ET. The Salcombe Deli - A fan of pasties like me? Make sure you pop in to see the lovely people at Salcombe Deli for a range of tasty bites and sandwiches. Other popular spots to look for accommodation include Kingsbridge (nearby town with more amenities including superstores, petrol stations and a passenger ferry to Salcombe. I'm also a fan of South Thurlestone, South Milton, Bantham and Bigbury-on-Sea. Airbnb have some great rentals, too. 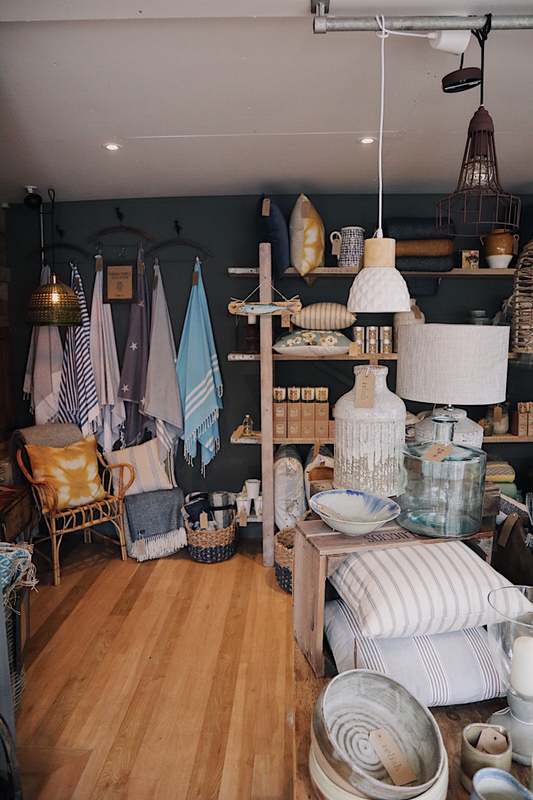 Salcombe is known for its well-trodden shopping streets (Jack Wills opened its first store here, I'll have you know) so take a walk along the stretch of Fore Street which runs parallel to the water's edge. Island Street is also seeing a rejuvenation with a diverse selection of art galleries, independent fashion stores and food stalls. The estuary also provides the perfect playground for watersport enthusiasts and those budding sailors amongst us! Sea Kayak - Whether it's kayaking, paddle boarding or beach sports, there's plenty of options to choose from for lessons and rentals while you make the most of the water. Bolt Head Walk - For the keen ramblers amongst you, there's an array of walking routes along the coast for you to fully appreciate the glorious views Devon has to offer. A quaint coastal town on one of the prettiest coastlines in England, it doesn't get much better than this. Salcombe has captured the imagination of many Londoners who have since swapped their power suits for nautical stripes... there's good reason it's called "Chelsea-on-Sea" much to the locals distaste! If you're looking for a family getaway, don't be too quick to book a flight outta here when you have the English Riviera just a few hours drive south. Plenty of fun for all the family. If you like my reviews on the latest and greatest places to wine and dine in the UK and beyond, please follow @LadyLeopardBlog on INSTAGRAM, TWITTER & FACEBOOK.